Sell your California home yourself and save big! Using a broker to sell your home can cost you up to six percent of the selling price — in other words, if you sell your house for $400,000, you can spend up to $24,000. But you’ll save that money if you sell the house yourself, and it’s not hard to do! Not a resident of the Golden State? 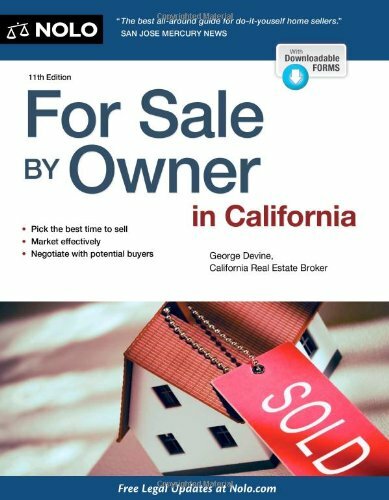 Check out the Nolo books Selling Your House in a Tough Market and Nolo’s Essential Guide to Buying Your First Home for real estate help in your state.